When did you first become aware of Wii Fit? If I’m being honest, my awareness at first didn't go beyond the level of thinking: "Oh, so they’ve brought out something like that now." It first went on sale in December 2007. So that’s about two years ago. When I first became strongly aware of Wii Fit, it was around October or November of 2008. At that time, the Nikkei newspaper wanted to do some research on the theme of weight gain over the New Year holiday, and that was the first time I came into contact with Wii Fit. So that was less than one year ago. It’s only about 10 months since I decided to do my own research on Wii Fit, but from the first time I tried it out, I feel I became very closely involved in it right away. What was your impression when you first actually used the software? I thought that it was really well put together. What particular elements did you feel that about? I wasn’t simply doing research, but I was also working with people who were actually at high risk of a variety of lifestyle diseases including obese people, so I had a lot of opportunities to tell them what kind of exercises would be beneficial for them. It was then that I realised just how many people there were who, as you mentioned a little earlier, were aware that they should be doing exercise, but just couldn’t seem to bring themselves to do it. So I was constantly facing these people, asking myself what exactly I should be saying, and in what way I should be expressing myself, so that my words would resonate with these people. Then when I turned the power on to start Wii Fit, Wiibo5 says a lot of things like "Oh, hello there. It's been a while!" or “You’re really giving it your all!” or “You’re starting at this time?” 5 Wiibo is a character who appeared in Wii Fit and was an anthropomorphic Wii Balance Board. 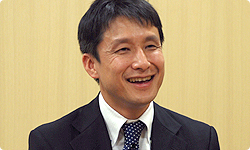 Wiibo was very flexible in his movements and offered a range of advice to the user. Yes, and things like: "You should really weigh yourself at the same time every day, you know!" I thought: “This has really been put together well!" (laughs) But I guess that because Wiibo knows exactly when you've used the Wii Balance Board, how frequently and for how long, he can say the appropriate thing at the right time. We basically share the same golden rule when it comes to instructing people. It’s vital to assess each person individually, gauge their strength, take account of what kind of activity they've been doing and what their situation is and then give that person a particular type of advice. In other words, the assessment and the advice should come together as a kind of set. So you give guidance appropriate to that particular person. With Wii Fit, you could weigh yourself daily, measure your physical strength and have your physical age calculated, while it also recorded the amount of time you’ve spent on the Wii Balance Board. Based on the results of that assessment, Wiibo would then speak to the user and give them feedback. For these reasons, my first impression of Wii Fit was that it was a tool that gauged the most up-to-date personal details as well as giving encouragement aimed specifically at the user. The impact it had on me was so strong that I really did think: “Maybe there won’t be any more need for instructors like me..."
Of course there will still be a need for instructors, but at the same time, when you have Wii Fit in your home, it’s ready for you to use at any time. This is something which I believe is of very great importance. So there may be more specialised facilities available if you go to a gym, and if you spend the same amount of time as you spend on Wii Fit, it may well prove to be more effective training. But having said that, by actually travelling to the gym, getting changed, exercising, taking a shower, getting changed again and going home, you really need a lot of time once everything is factored in compared to the amount of time you actually spend training. Even getting to the gym can be a real pain. That’s why there are those people who continue going to the gym and others who give up. But even with those people who give up going to the gym, with a Wii Balance Board set up in their living room where all they have to do is get on it for a little while each day, I think they're likely to be able to keep it up. From that point of view, I think Wii Fit occupies a really interesting position. I think that’s exactly right. For instance, imagine a father whose belly is protruding a bit and who isn't looking as good in his jersey as he used to. As you can imagine, he may feel a certain reluctance towards going to the gym and doing aerobics or yoga in front of everyone. But with Wii Fit, on the other hand, all he has to do is do a bit of hula hoop in his pyjamas after getting out of the bath. Who could really object to doing that? It really lowers those barriers significantly. Up to now, before doing exercise, you always needed to work up the energy to get over those barriers: “Right! 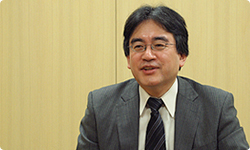 Let’s do it!” But what you’re saying is that with Wii Fit, those barriers have already been lowered. In my field, we refer to this as a “small step”. Particularly with those people who feel a reluctance about exercising, even if we say: “According to our research, you need to be doing this much exercise!” they will be sure to reply: “I just can’t do it!” That’s why it’s really important to get them to make that first step, no matter how basic the exercise is. In that sense, Wii Fit amply fulfils the role of providing that “small step”. With Wii Fit, there are also households where more than one person is using it. 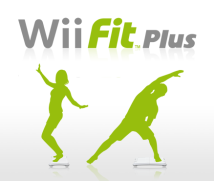 So there are more people using Wii Fit than going to gyms and sports clubs. I think that it is precisely because the barrier is so low that it has been embraced so widely.